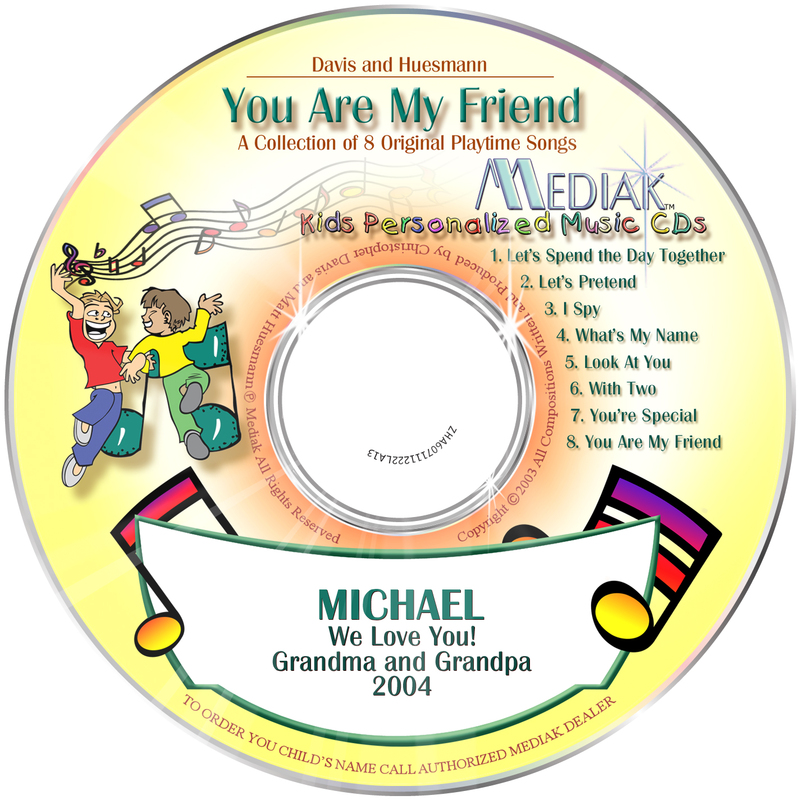 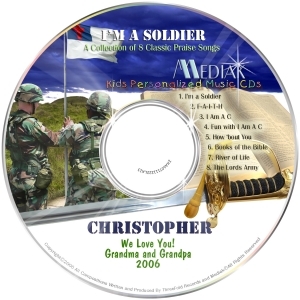 You are My Friend features the child’s name 98 times throughout this 21-minute CD. 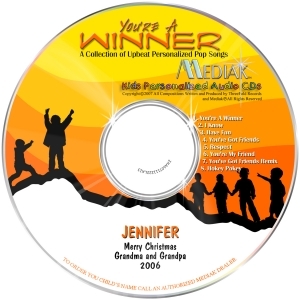 The storyline for this collection is “a day in the life of the child.” This collection offers fun songs by our award-winning composers about playing, learning, singing and dancing. 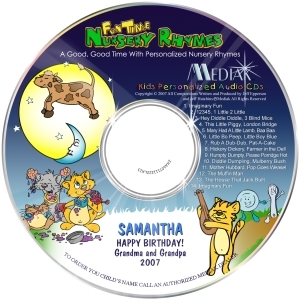 The songs are upbeat and playful, guaranteed to get your child clapping and dancing to the beat. 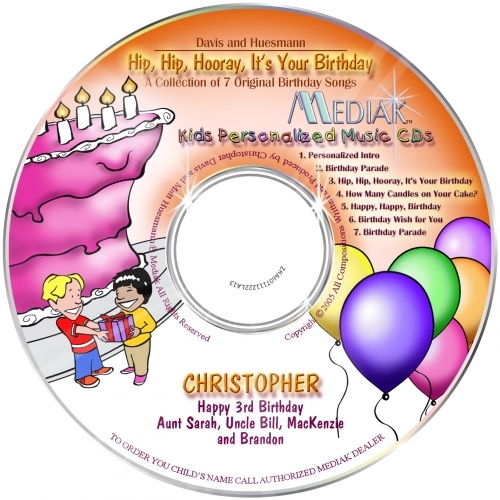 Children enjoy songs about playing make believe, identifying the colors of the rainbow, and pretending to be animals.